"I can't believe how much they loved it - the kids were laughing and cheering!" 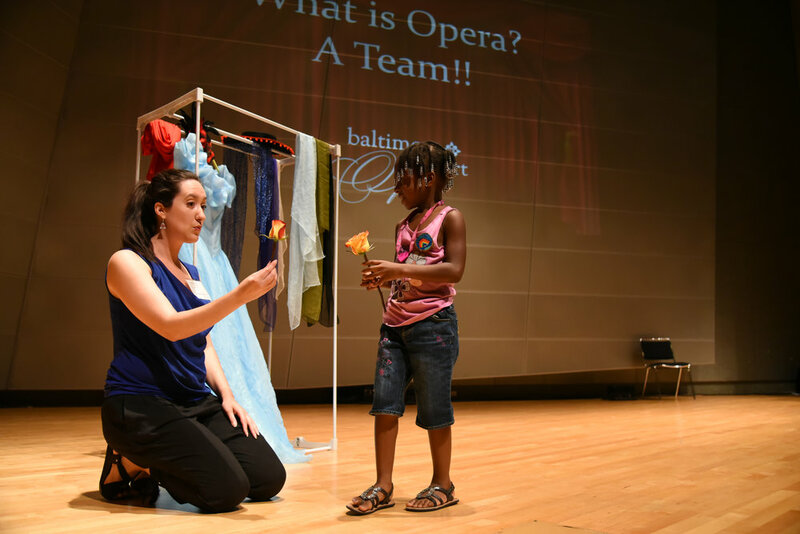 Baltimore Concert Opera's "What is Opera? A Team!" presentation is an interactive, engaging 30-40 minute program that can be tailored to groups large and small, ages 5-12. 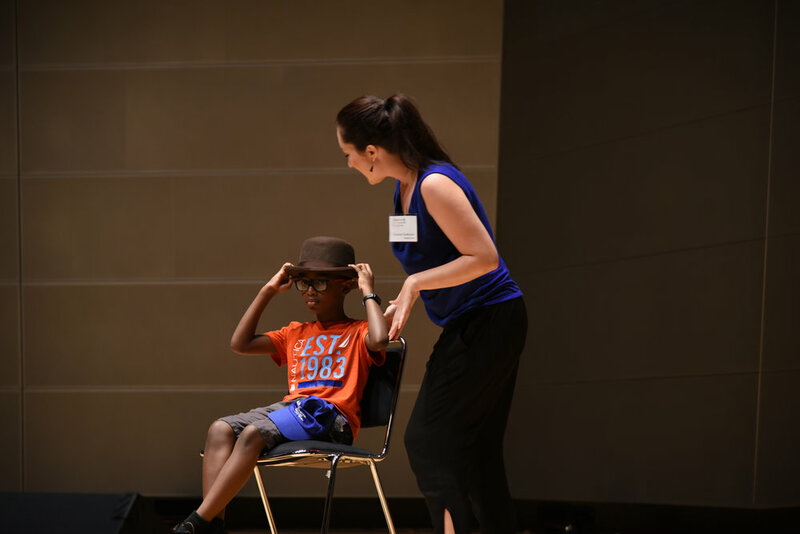 Facilitated by an experienced teaching artist, students learn about the teamwork that creates an opera - people who work together to tell a story all at once - like blockbuster movie, but with no second takes, and no microphones! Elementary students shake scarves and pretend to be "water" for the "mermaid song" - Rusalka's Song to the Moon. Through energetic narrative and a projected presentation, students discover that opera is the ultimate mash up: music + words + acting + dance + visual art! 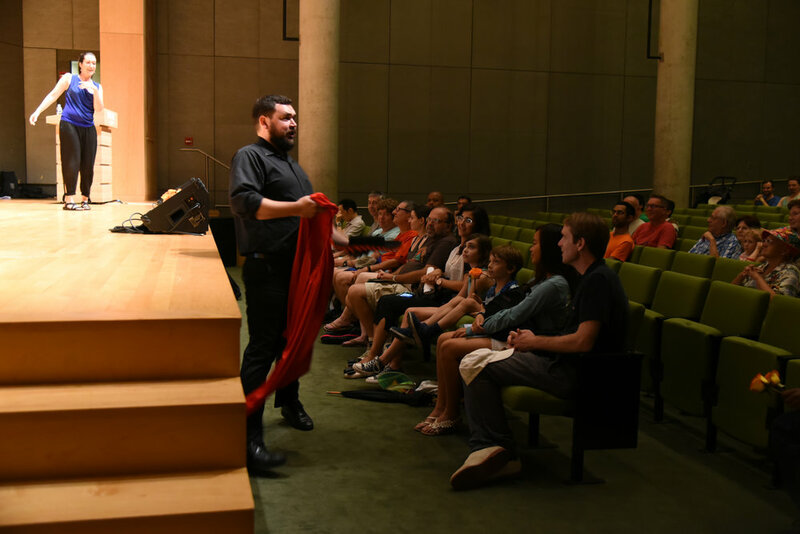 Students learn what opera is and look behind the curtain at opera productions: learning about the scenic, costume, and lighting components of opera. They also hear about different voice types and how opera singers train their voices to make them louder, stronger and faster - just like an athlete. Lastly, the opera-singing teaching artist performs selections of operatic classics -- but she needs their help to perform the songs! Students join our teaching artist onstage to become a part of the 'opera team' right then and there. In this Italian song by Puccini, Courtney Kalbacker begs her "father" to help her marry her beloved! This elementary student holds his ground and refuses! The kids go WILD! Whatever you love to do, find your team -- and do it together! 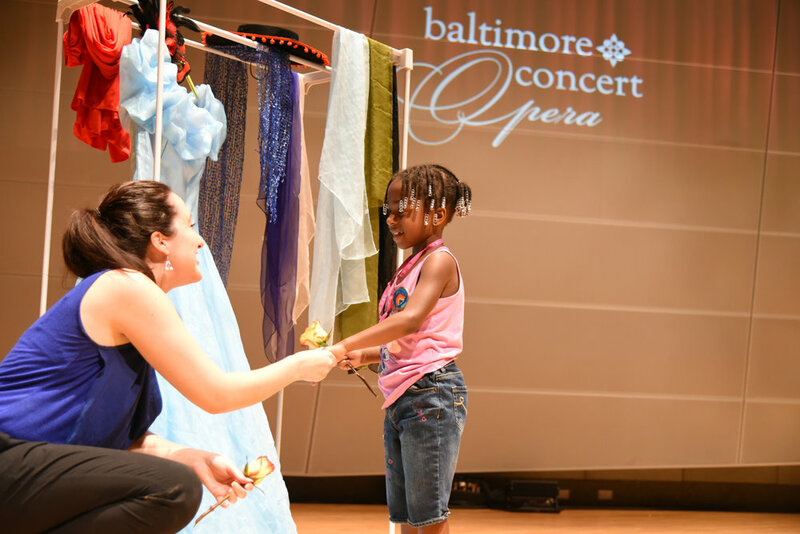 For more information and scheduling contact Courtney Kalbacker, Managing Director, Courtney@BaltimoreConcertOpera.com. Fee is on a sliding scale based on number of assemblies, location, and other factors - ranging between $250-$750. Minimal onsite requirements include a sound system that can play from a computer, and a projector & screen (BCO can bring own for a small fee). Some schools may qualify for free assemblies! Contact us for details!